We are required by law to charge Canadian Goods and Services Tax (GST) on all products shipped to addresses in Canada, and Canadian provincial sales taxes in provinces where we have a physical location. We currently have stores in Quebec, Ontario and New-Brunswick. Which payment modality can I use for my online purchase? We gladly accept North American Visa, MasterCard, and Paypal in the near future. If you prefer to use a form of payment other than a credit card, simply visit one of our stores near you and they will be more than happy to assist you. We will not only match our direct competitor’s price on identical items, but we will also offer another 10% off the difference. In order to qualify for our price matching guarantee, the product in question needs to be advertised by an authorized retailer for that brand and product. The product also has to be the same make, model and condition. Finally the selling store must have a physical store location located within the same provinces as our store locations. Cannot be combined with any other promotion. Other exceptions may apply. Please, contact us for all details. Where is my order? I placed an order on the website and have not received it? If you have an account, you will be able to check all your orders, and where they are, directly from your profile page (check My Orders page). If you don’t have an account, simply click on Track your Order at the bottom of the page, enter your order number and your order Email. If you can’t find how to do it, please contact customer service at 1 800 363-3832 or emailing us at info@linenchest.com. Please make sure you have your order number with you to facilitate the research process. Unfortunately, we are not able to ship one order to multiple addresses. You will need to place two separate orders. If you need assistance in placing your order, please email our Customer Service desk at info@linenchest.com, or call 1 800 363-3832, and we will be more than happy to assist you. How do I place an order with an international delivery address? We accept orders from any country and have established a courier service for international delivery. Our website is currently only accepting Canadian orders and deliveries, but we can manually accept international orders until our website becomes worldwide friendly. Simply email us at info@linenchest.com with your detailed request. Most in stock orders are shipped within 2 business days. In some cases, if we require an item from one of our warehouses to fill or complete your order, it can take an extra 2 business days. Our customer service will advise you by email of any further delays. Note that if you have an account, you will be able to check all your orders, and where they are, directly from your profile (check My orders page). If you don’t have an account, simply click on Order History at the bottom of the page and enter your order number and your order Email. How can I get on Linen Chest’s mailing list? I would like to receive information on your special offers. Click on the newsletter tab, located on the left side of your screen, to add your name to our email distribution list. You will receive the latest information on promotions as well as new and exciting events happening at Linen Chest. Please note that we do not sell personal customer information to any third party. Can I cancel my subscription to the Linen Chest newsletter? You can do it anytime! In every Linen Chest email, a link allows you to cancel your subscription immediately. You can also do it directly on your Preference Center page, simply click here. Why do I need to enter my email address when I place an order online? An email address is required to send you a detailed order confirmation after you successfully place an order. Once your order is shipped, you will receive a 2nd email detailing your tracking information. Linen Chest does not sell or share our customer’s information with any third parties as well as other customer service emails. • Can I cancel or make changes to my order? If you haven’t completed your order, it is possible to edit the order. But once it is completed, you can’t change the order. If it is the case, please contact our customer service at 1 800 363-3832 or email us at info@linenchest.com. • How do I return an item that I purchased online? The first step I to check our return policy to make sure your purchase can be returned. Once that page is consulted, you can contact our web customer service department at 1 800 363-3832 or email us at info@linenchest.com. The customer service representative will assess the situation and make sure to follow company policy with your return and help you through the process. For more information about returns, please check our refund policy. • Can I return/exchange an item that I ordered online at my local Linen Chest store? We gladly accept returns or exchanges at any of our store locations. You need to call our customer service department at 1 800 363-3832, or email us at info@linenchest.com,to get a return authorization. Please remember to have the item in its original packaging along with the accompanying documentation. Consult our return policy to make sure you will be able to return your order. For delivery return, please contact us directly at 1-800-363-3832 or email us at info@linenchest.com so we can properly assess shipping requirements. Yes, you can buy a gift card directly online; choose from $10 to $250. We will mail the gift cards free of charge on your behalf directly to the receiver’s home or office. Send a gift card today! Can I directly pay with a gift card on online purchases? Yes, it is currently possible to use a gift card online in the checkout process. Where are your Linen Chest stores located in Canada? Please see our Stores Location page for detailed location information and store hours. By clicking on an item, it will indicate the availability and give a shipment ETS (Estimated Time to Ship) message. If a product is out of stock, the message will reflect it. I saw a product in store, but I can’t find it online. We are constantly working on putting our entire catalogue online; some products may not have made it online. Please contact us with your inquiry. Does Linen Chest offer Layaway services? Linen Chest does not offer a layaway program at this time. Does Linen Chest have an Affiliate Program? How do I apply for a position at Linen Chest? We are looking for talented, hardworking individuals. Our unswerving commitment to our promote-from-within policy is a great example of how we recognize, appreciate, and reward those who show exceptional performance. If you are interested in becoming part of our organization, please click here for more information. Why work at the Linen Chest? We are a fast growing organization that considers its employees to be its greatest asset, and we are continuously seeking talented individuals to join our team. You can expect to work in a dynamic, stimulating and exciting environment that encourages innovative ideas and personal growth. Yes, we invite you to apply for any open position as we love to add and expand our current team. I can only work part-time. Should I still apply as a candidate? We are always looking for talented individuals to join our team and we frequently offer part-time or on a temporary base position. Check here for job postings. We’ve made finding an item on our site simple. Type the description or name of the item in the Search Field located at the top of our homepage. All our products are classified in categories and each category is classified in subcategories. Still can’t find it? Contact our Customer Service desk at info@linenchest.com or call 1 800 363-3832. Go to the shopping cart by clicking the View Cart button and then Shopping Cart. Enter your coupon code on the Promotion Codes area and click on Apply Coupon. What steps do I take to place an order? 3. If you have a promo coupon code, enter it on the Promotion Codes area. Select one of the shipping options. Then click the Proceed to checkout button to continue. *If you want to check out quickly, simply click on the checkout button at the top of the page. 4. Fill in the fields of the 3 steps to complete your purchase. To avoid processing and shipping delays, please provide your billing address exactly as it appears on your credit card statement. 5. When all fields are entered, click on the Place order now button. • Which Internet browsers should I use to view the Linen Chest web site properly? • What screen resolution do I need? The website is responsive and will adapt to any screen size. 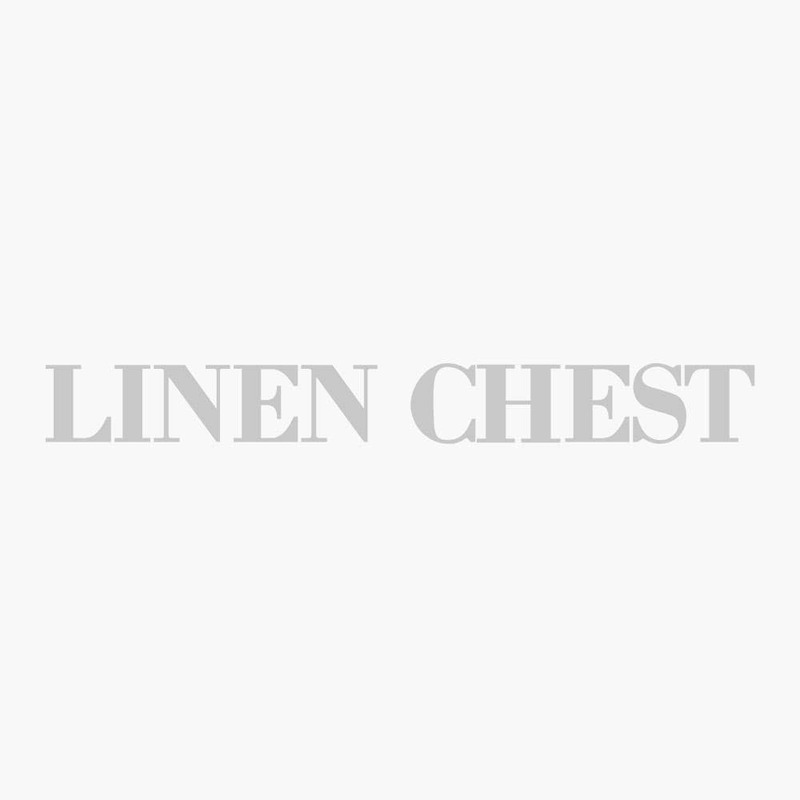 Is it safe to shop at Linen Chest Online? Totally! You can shop with confidence at Linen Chest Online. We deal with check centers for the payments and we have a professional staff to make sure every transaction is completed with simplicity and security. To see our complete privacy and security policy, click here. • If unsatisfied, you may return items for full refund or for an exchange within 30 days of delivery. • Return or exchange items you buy online at any of our locations. will match it and award you an additional 10% off on the difference!